On February 16, PAA joined more than 200 leaders from across the nonprofit sector on Capitol Hill for the Charitable Giving Coalition's "100 Years of Giving" advocacy event. This year marks 100 years of the charitable deduction, an important tax incentive that ensures that our nation's charities-including nonprofit performing arts organizations-are able to receive the funds necessary to fulfill their essential philanthropic missions. The event focused on educating lawmakers about the need to protect the full scope and value of this giving incentive by describing the impact nonprofit organizations, including the arts, make in their communities with support from private giving. PAA shared with lawmakers examples of the work our members are doing with charitable donations, explaining that on average, nonprofit arts organizations receive 40% of their revenue from charitable donations. PAA is asking Congress to not only preserve the full scope and value of the charitable deduction but also to expand access to the charitable deduction and to encourage giving by more people as it begins comprehensive tax reform. PAA recently joined the Alliance for Charitable Reform, Independent Sector, and other nonprofit advocates on Capitol Hill to talk to lawmakers about the impact of charitable giving tax policies on our sector. 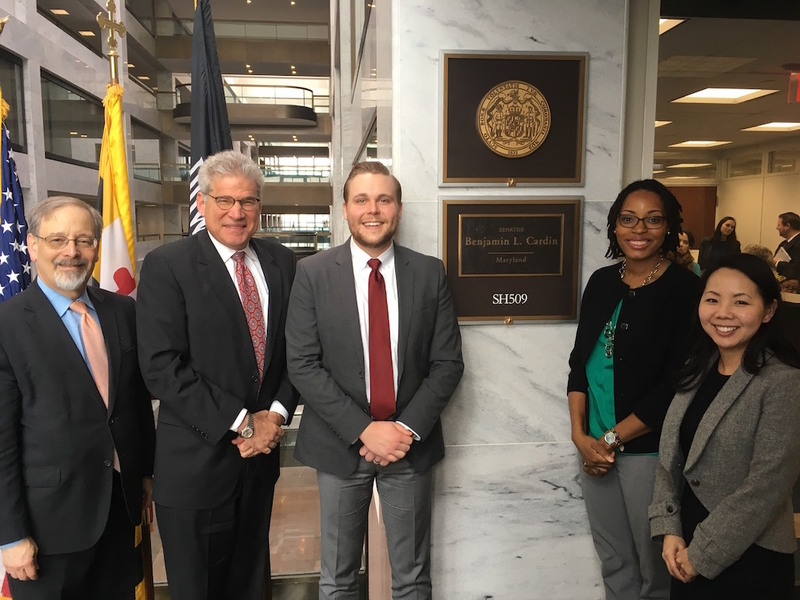 Advocates met with several House and Senate staff to encourage support for legislation around the charitable deduction, IRA Rollover expansion, and donor-advised funds. The timing was appropriate as House republicans released an outline of tax reform priorities last week. The so-called “blueprint” eliminates all deductions except the charitable and mortgage interest deductions, among other changes that may have both a positive and negative impact on charitable giving. Legislative action is not expected this year, however PAA will continue to advocate towards preserving the full scope and value of charitable giving incentives. The Charities Helping Americans Regularly Throughout the Year Act (CHARITY) (S. 2750) was introduced by Sen. John Thune (R-SD) and Sen. Ron Wyden (D-OR) in April 2016. The goal of this bill is to ensure that charities are not negatively impacted when Congress takes on tax reform. The CHARITY Act encourages the Senate to preserve the full scope and value of the charitable deduction during upcoming tax reform efforts. It includes several other provisions, such as allowing IRA charitable rollover contributions to donor-advised funds and requiring nonprofits to file their Form 990 electronically. The Public Good IRA Rollover Act (S.1159) introduced by Sen. Charles Schumer (D-NY) and Sen. Susan Collins (R-ME) was introduced in April 2015. The act would lift the current $100,000 cap on gifts from IRAs and would lower the distribution age to 59 ½. Currently, donors must be age 70 ½ to take a distribution. This act would encourage donors to give more to charities, including nonprofit arts organizations. The IRA Rollover was made a permanent charitable giving incentive in December 2015. Legislation involving the IRA Rollover was also recently introduced in the House. The Grow Philanthropy Act (H.R. 4907) would expand the IRA charitable rollover to allow donors to make distributions to donor-advised funds (DAFs). These funds are a unique philanthropic tool that allow donors to establish charitable accounts at institutions, such as community foundations, and remain involved in supporting the issues and causes they care about. PAA will keep you posted on these and other pieces of legislation impacting the nonprofit arts sector as Congress aims for comprehensive tax reform. The IRA Charitable Rollover allows donors age 70 1/2 and older to make contributions of up to $100,000 directly from their IRA accounts to a nonprofit organization. This has been an important source of support for many nonprofit arts organizations. This giving incentive has been through a cycle of reinstatement and expiration in recent years; it most recently expired on January 1, 2015. Almost a year later, it is a victory to see the IRA Charitable Rollover made permanent in the PATH Act. PAA has advocated with Independent Sector on this policy issue, and we thank the many arts advocates who participated in our calls to action to speak up to their lawmakers. Your voice has made a difference! The IRA Charitable Rollover expired at the end of 2014 and has been unavailable this year to donors as an option to support the nonprofits serving their communities. There has been support for this provision in Congress this year: in February, the House passed the "America Gives More Act" to permanently reinstate a set of charitable giving incentives that included the IRA Rollover. The Senate Finance Committee passed a similar bill in July. With only six weeks left until the New Year, we need Congress to #Act4Good and reinstate and make permanent this important tax provision! Take action today: write your lawmakers and urge them to support the IRA Charitable Rollover! The Senate Finance Committee advanced a bill for temporary reinstatement of tax extenders--including the IRA Charitable Rollover--during a markup on July 21. The IRA rollover allows donors ages 70 1/2 and older to make tax-free contributions to charitable organizations of up to $100,000 directly from their IRA. This provision expired at the end of 2014 and has been in a cycle of expiration and reinstatement for the past several years. PAA will join other national nonprofits in visits to Senate offices this week, urging lawmakers to support this important provision. The Finance Committee's markup followed the recently released reports from the Senate Finance Committee Tax Reform Working Groups. The Working Group on Individual Taxes considered two options for reinstating the IRA Rollover: 1) permanently reinstating the provision as it currently exists; or 2) permanently reinstating it, expanding the types of charities eligible to receive contributions, and increasing or removing the $100,000 cap. Tomorrow, July 21, 2015, the Senate Finance Committee will debate a bill that could retroactively reinstate the IRA rollover back to January 1, 2015. The bill would also extend this tax provision through December 31, 2016. If your Senator serves on the Finance Committee, we sent you an Action Alert asking you to write a letter to your Senator about the importance of this charitable giving incentive. Take action now! On Thursday, February 12, the House passed H.R. 644, the America Gives More Act of 2015, which would permanently reinstate a set of charitable giving incentives that includes the IRA Rollover. The IRA Rollover allows donors age 70½ to make tax-free distributions of up to $100,000 per year from an IRA to a qualifying charitable organization. The final vote was 279-137. Many of you wrote to your Representatives sharing stories of how this giving incentive has supported the important work of your arts organization. Your voices were heard in this step for the legislation, and PAA thanks you for your advocacy. Next, the bill will be considered in the Senate. The the timing isn’t certain, but the Senate Finance Committee has recently created tax reform working groups to start addressing comprehensive reform. While there is strong bipartisan support for these charitable giving incentives, the President has issued a veto threat over concerns of how to pay for the provisions. PAA continues to meet with Congressional offices urging them to support this important measure. To welcome new members and begin advocacy on tax policy, the Charitable Giving Coalition (CGC) recently sent a letter to new members of Congress introducing the coalition and its work and also explaining the importance of maintaining the full scope and value of the charitable deduction. PAA has signed this letter, and likewise, we encourage you to introduce your organization and its work to your legislators. Start building relationships by writing a letter, making a phone call, or scheduling a meeting--especially if your Representative or Senator is new to office. Use the PAA advocacy toolkit for tips on connecting with your leaders. On December 11, the House voted on H.R. 5806-the Supporting America's Charities Act-which would make the IRA Charitable Rollover permanent along with two other charitable giving incentives. This bill did not succeed. On December 3, the House passed H.R. 5771, the Tax Increase Prevention Act of 2014, which retroactively renews and extends the rollover and other charitable giving incentives through the end of 2014. The Senate passed the same legislation on Dec. 16 and the bill now awaits the President’s signature. The House voted to pass H.R. 5771-the Tax Increase Prevention Act of 2014-which would reinstate and extend the IRA Charitable Rollover along with other expired incentives through the end of 2014. As you recall, this provision expired at the end of 2013; PAA and other charitable giving advocates have been urging Congress this year to reinstate this important incentive. Unlike H.R. 4719 which the House passed in July, this bill does not extend the deadline through April 15 for making charitable contributions that can be included on the previous year’s tax return. PAA signed on to a letter from the Charitable Giving Coalition (CGC) to Rep. Paul Ryan thanking him for his recent favorable comments regarding the value of charitable giving: "Charities ought to be a tax expenditure that is still preserved because civil [society] is one of the most important components of American life, of getting people involved in our communities and philanthropies." His comments came a few weeks after the House passed legislation that would reinstate and make permanent the IRA rollover. PAA joins CGC, Independent Sector, and other non-profit stakeholders in advocating for favorable tax treatment for the important private donations that support the work of the sector. The House of Representatives passed legislation (H.R. 4719) that would reinstate and make permanent the IRA charitable rollover. This legislation would also extend the deadline through April 15 for making charitable contributions that can be included on the previous year’s tax return. The final vote was 277-130. PAA, fellow arts advocates, and the greater charitable sector have been active on this issue, visiting Congressional offices, urging lawmakers to reinstate this provision, and sharing stories with representatives of how arts organizations have benefitted from this tax provision. Next, the legislation moves on to the Senate. The House Committee on Ways and Means approved H.R. 4619 which would make the IRA rollover a permanent tax provision. The rollover expired at the end of 2013. The bill was introduced by Rep. Aaron Schock (R-18th IL). Next, the bill advances to the House floor for a vote. On February 26, Rep. David Cam (R-4th MI) unveiled his legislation to lower tax rates, simplify the tax code, and encourage economic growth. The “Tax Reform Act of 2014” also has provisions for the charitable deduction, such as setting a floor rather than a cap to the amount of donations that can be deducted. Independent Sector has submitted comments on Rep. Camp’s changes to the charitable deduction. It states that some of the provisions in the Tax Reform Act may have a negative impact on the incentive, possibly causing charitable giving to decrease. One third of the Senate signed a letter in support of preserving the charitable deduction as it currently exists in any future re-writes of the nation’s tax code. The letter, authored by Senators John Thune (R-SD) and Ron Wyden (D-OR), is addressed to Senate Finance Committee Chair Max Baucus (D-MT) and states that: “[t]he charitable deduction is unique . . . the only provision that encourages taxpayers to give away a portion of their income for the benefit of others. For this reason, it is not a loophole, but a lifeline for millions of Americans in need.” The letter began circulating in the Senate in November during the Charitable Giving Coalition's "Protect Giving Day.” You can read the full text of the letter and the list of the 33 signatures here. Charitable Giving Coalition's "Protect Giving Day"
The Charitable Giving Coalition hosted "Protect Giving Day" on which 200+ advocates from across the nonprofit sector came to Capitol Hill to ask Congress to preserve the charitable deduction as it currently exists. PAA representatives participated and visited a total of 38 offices. The message from most offices was general support and protection for the charitable deduction during budget deliberations. Most policy leaders believe that progress on individual tax reform will be very slow but that the charitable deduction may remain “on the table” throughout that process. Most offices believe tax reform cannot happen until 2015 at the soonest.